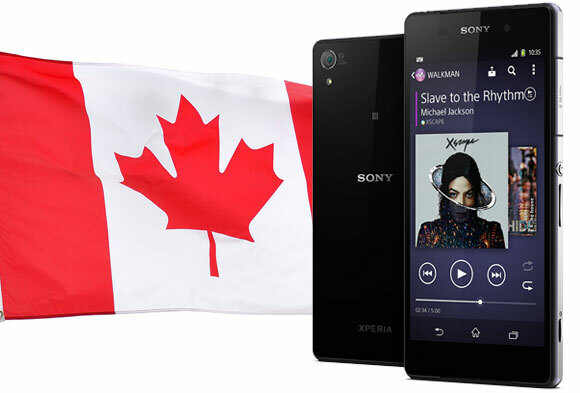 The Sony Xperia Z2 is known to be available in Europe and parts of Asia and today we can count North America in the list of regions where Sony's flagship is going to sell. Bell Canada is going to start offering the device to its customers starting in May. There's no information on pricing just yet, but it's logical for Bell to price the Xperia Z2 as the rest of its current batch of Android flagships - CAD $200 with contract. Sony is yet to announce its plans for U.S. availability and pricing. As we reported at the end of March, Sony is experiencing supply chain problems with the Xperia Z2. In the UK, Sony says all pre-orders have been fulfilled, but there'll be some shortage in stock nevertheless. The Sony Xperia Z2 costs £540 off-contract, while monthly taxes for 2-year plans are £42 get you the phone for free. The TV deal is from Vodafone, while Unlocked Mobiles offer a free wireless speaker, noise-cancelling headphones and digital content with a pre-order. I wish I was Canadian.